The Italian Plum or Prunus cocomilia is native to Southern Italy. It is said that the plum may have been one of the first fruits domesticated by humans and that it’s remnants were found in Neolithic age archaeological sites dating back 10,000 years ago. 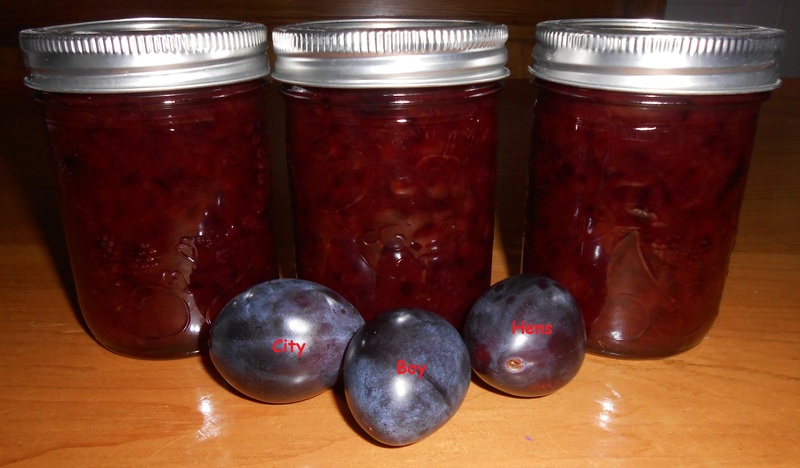 Over the years, this ancient fruit has been used in cakes, preserved in alcohol, dried to make prunes and……made into delicious jam. Right now in Southern Ontario, Italian plums are in abundance and last weekend I honored my daughter’s request and make some Italian Plum Jam. I don’t mind saying it turned out pretty darn good! 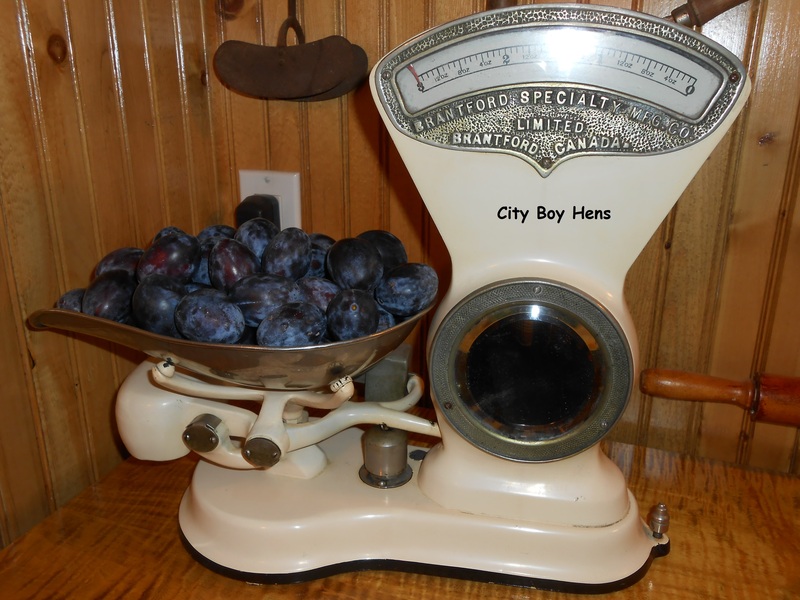 Weigh, wash and cut plums in half. Discard pit. 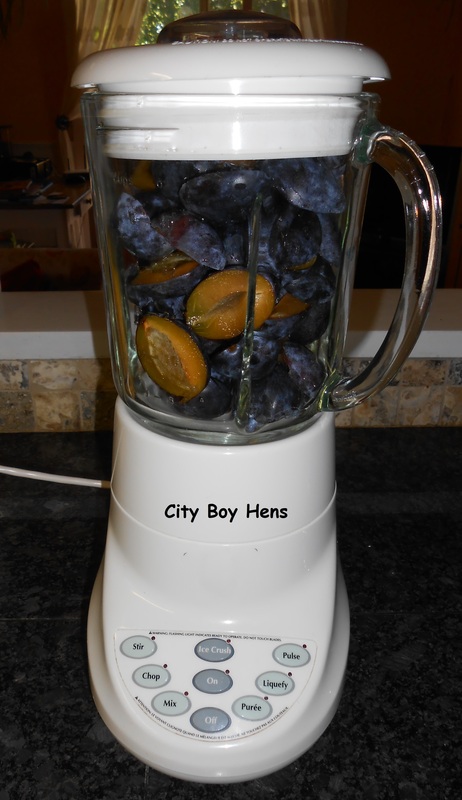 Either finely chop plums by hand or pulse in a food processor. The second choice is much easier & faster. 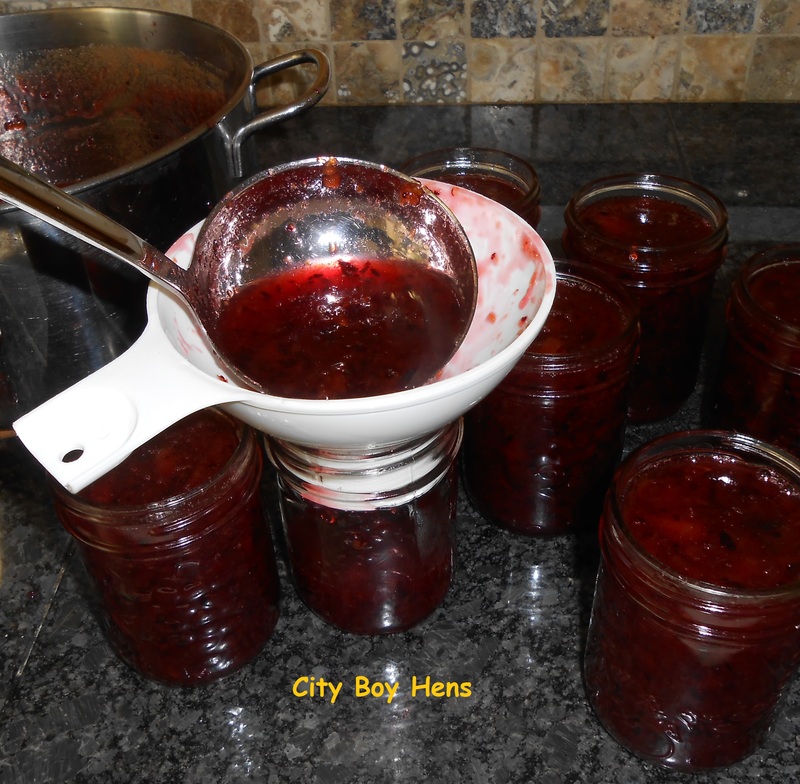 Fill your canner up with hot water to the height of the jars that you will be using for your jam. 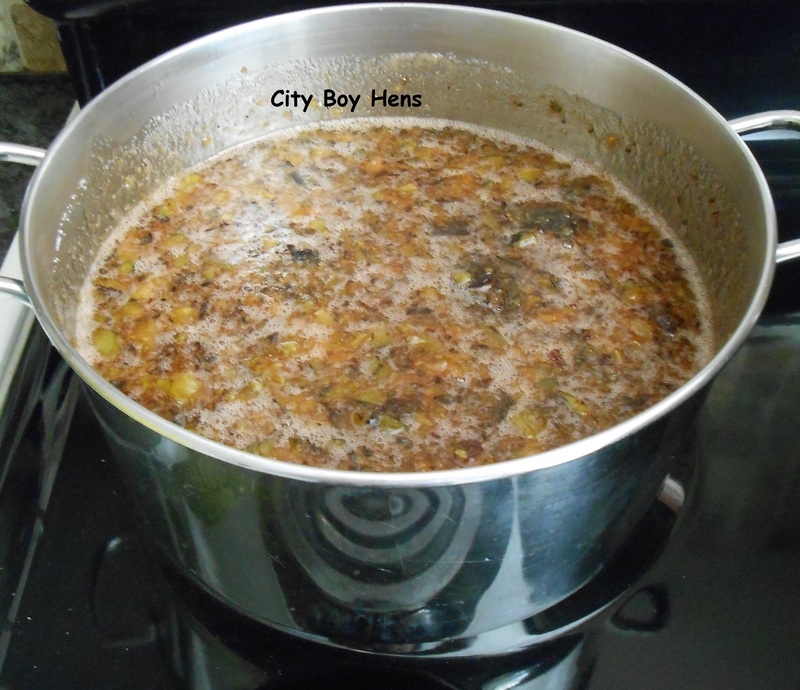 It will take a while to get this volume to a boil so you better start now. If you get ahead of the game, you can always turn it down later. Fill a medium pot with water and add the seals and screw rings. Bring this to a gentle boil. 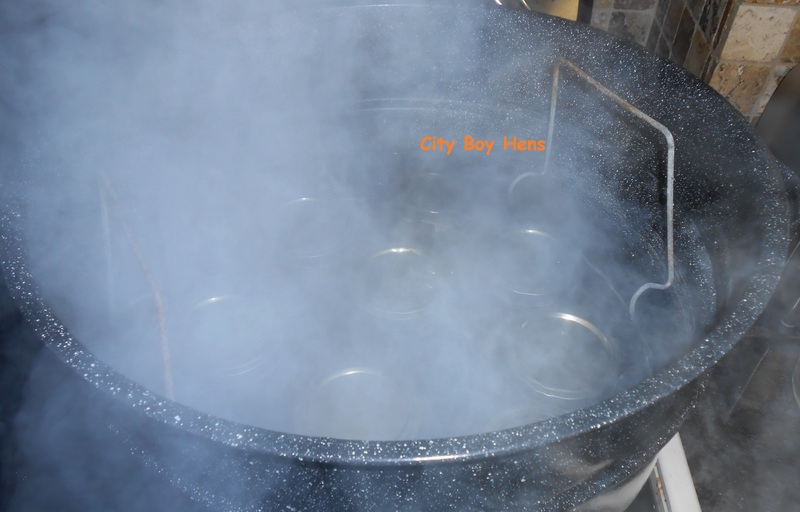 Sterilize your jars in the oven at 225 degrees Fahrenheit for 10 minutes. Continue to keep them warm in the oven until they are needed. 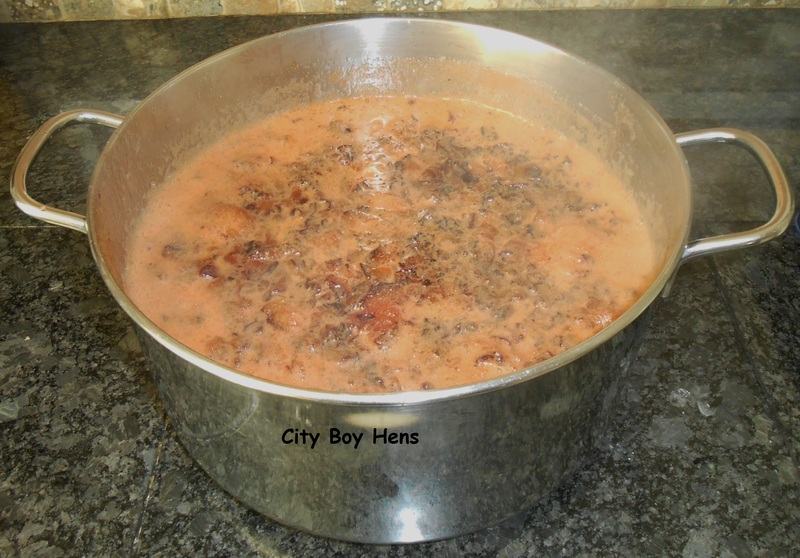 Combine mashed plums and pectin in a large pot and bring to a boil over high heat. Add all the sugar. I add 1/3 at a time and stir in order to dissolve all the sugar and not have it stick to the bottom. Note: Make sure you use a LARGE pot to make this jam. The volume will really INCREASE when the jam begins to boil. The last thing you are going to want to happen is have this sugary mixture bubble over in the pot and catch FIRE on your burner. Been there and done that! Once the sugar is dissolved, return to a hard boil for 1 minute. Remove from heat. Stir and skim for 5 minutes. This step is crucial in order to get a foam free jam (skimming part) that doesn’t have the fruit rising to the top of the jar (stirring part). 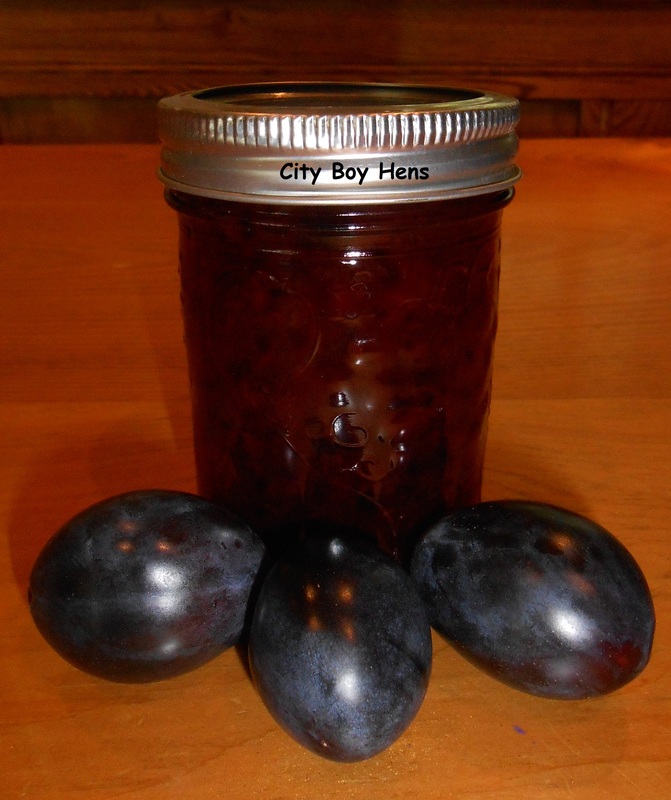 Pour jam into warm sterilized jars to 1/4″ from rim. Wipe the lip of the jar with a wet paper towel in order to ensure that no jam is on the rim of the jar. This could prevent a good seal from happening. Cover with sterilized lids and tighten the screw rings. Process in a water bath for 10 minutes. 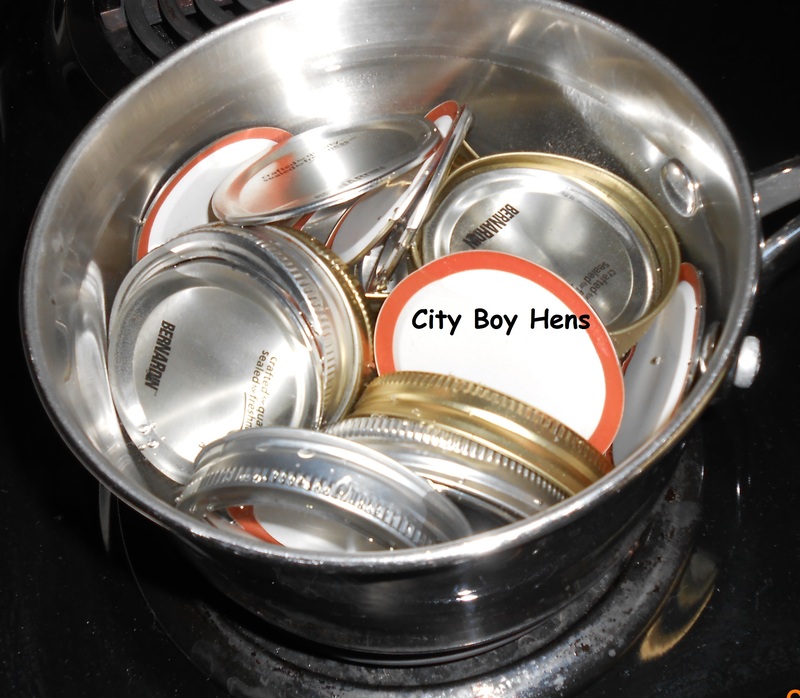 Carefully remove the jars with canning tongs and cool on a rack over night. Soon you will hear the sound of success as those lids start popping and ensuring a good seal. Complimenti (congratulations)! Now tuck some of those jars into your cantina or cold cellar and wait for those cold days of Winter when you’ll need a warm reminder of some late summer tastes!